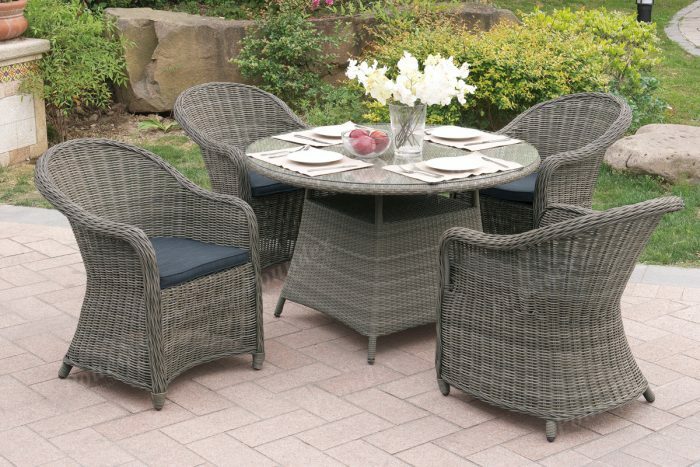 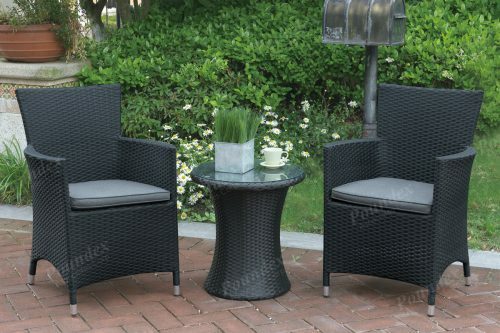 Dine with charm with this cottage style patio table set is the perfect piece for a lovely outdoor living space. 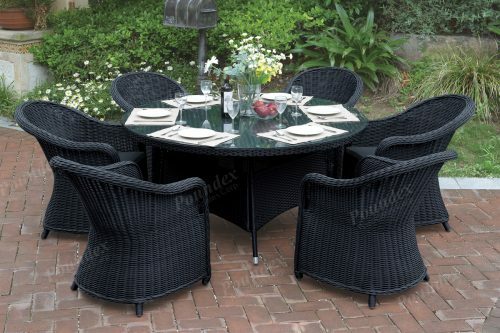 It features seating for four at a large round shaped table with a glass countertop. 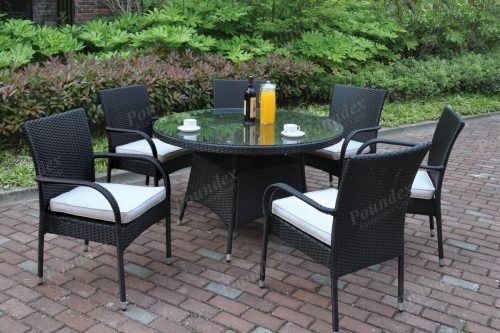 Each chairs is adorned with a cradles style rolled arms and a seat cushions. 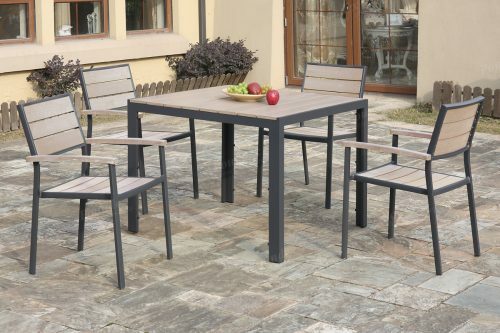 Select from dark brown or tan in an all-weather durable material.